Only five names from 2008’s Leinster women’s roster stay in the set-up for this weekend’s Interprovincial tournament in Cork as coach Rudi Woortman draws largely on the form of Railway Union and Loreto. Six players from the Beaufort club and five from Railway are included in the line-up which sees only Linda O’Neill, Jean McDonnell, Nikki Keegan, Rachel Keegan and Emma Gray return. Like the men, the international contingent is available once again with Mary Goode, Cathy McKean, Niamh Small and Nikki Symmons considered this time though Christine Quinlan has not been selected. 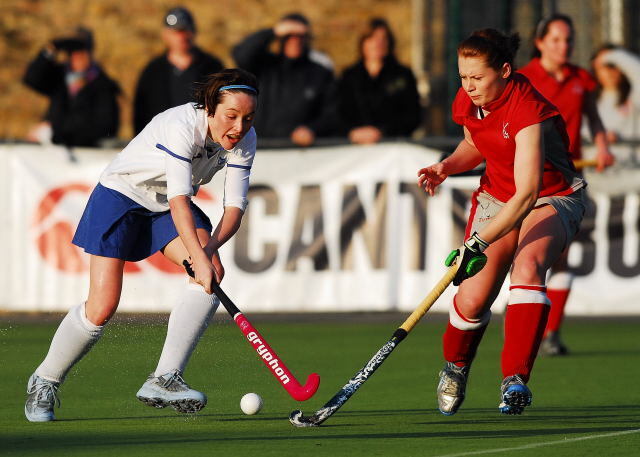 Roisin Flinn is also into the squad, replacing her sister Fyona who made her debut in 2008. Another pair of twins, Isobel and Cecelia Joyce are included for the first time with Kate Dillon and Emma Smyth – away travelling last year – adding to the Railway contingent. Loreto teenager Aisling Campion gets a first call. Among the other provincial sides, a number of Leinster-based players are also called up. Another three Loreto and Railway players will be involved with Lizzie Colvin (Ulster), Clodagh Grealy and Louisa Healy (Connacht) for the former. Sarah McDonald, Sinead Walsh (both Connacht) and Helen Stevenson (Ulster) are involved from the Park Avenue club and their number could have been one more had Jenny Kenefick not moved back to her hometown of Cork. She’s in Munster’s squad. Munster also include Pembroke’s Karen Hales while Connacht will play Irene Gorman (Trinity), Rosie Carrigan (one of four UCD players who take part in the tournament), Aoife Harte (Hermes), Laura McCoy (Old Alex) and Louisa Moore (Pembroke).